Apple unveiled watchOS 2 – a new operating system update for Apple Watch – at WWDC 2015. With watchOS 2, we got some much needed and wanted features that we’ve been asking for when the Apple Watch was initially released. New Watch Faces – single photo face, photo album face, and time-lapse face. Third-Party Complications – app developers can now make complications and show information from the app (ex. show flight time, charge level of electric car, show sports scores, and more). Time Travel – rotate digital crown and time will go forward or backward to show things that are coming up such as Calendar events and more. Nightstand Mode – plug in the Apple Watch to charger and it’ll display a new nightstand mode. Add Friends – ability to add contacts to Friends from Apple Watch. Friends groups – ability to group a set of friends together. Digital Touch improvements – multiple color drawings. Reply to email using Apple Watch. 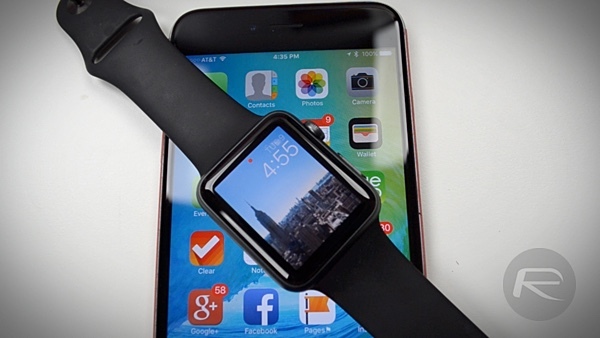 Third-party apps will now run natively on Apple Watch. Watch video on Apple Watch. Subscribe to our YouTube channel for more videos. The new watchOS 2 beta update for Apple Watch is currently available to download and install for the registered members of Apple Developer Program. The final end-user version is set for release this fall. We’ll obviously keep you all updated on any new features we come across throughout the beta cycle of watchOS 2 which runs till September 2015. If you missed on our iOS 9 features video, you can watch it here: iOS 9 Beta Features: Hands-On Video Walkthrough. 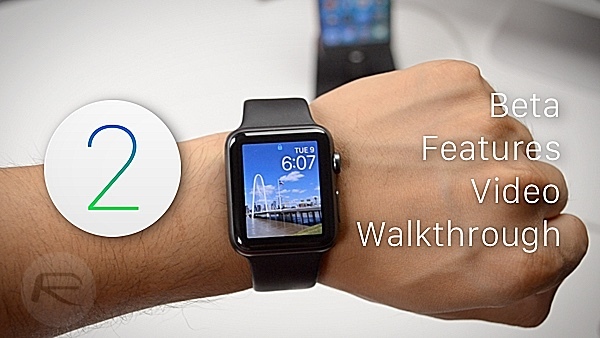 So what do you guys think about watchOS 2? Is there any feature you think Apple should have added? Is there new limit set for Photo (over 500 pics)? The limit is still up to 500 Photos (75MB) on this watchOS2 developer preview. how stable is the beta? also, any connection to wifi when away from phone?